Manufacturing operations are underway at Chevron’s new Atyrau Valve Plant (AVP), a $40 million facility that is unique in Kazakhstan and other CIS countries. 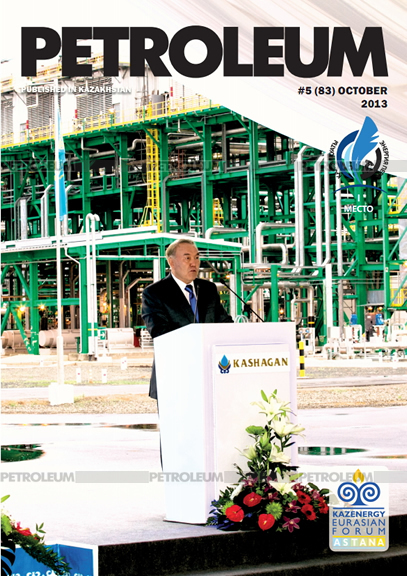 The valve plant is part of Chevron’s efforts to support the diversification of Kazakhstan’s economy by introducing new technologies and business opportunities to Kazakhstan. The plant produces iron gate valves with diameter range of 80-400 mm for use in water supply, sewage and natural gas transportation systems. AVP is Chevron’s second investment project in the Atyrau oblast outside of its core oil and gas business and follows the Atyrau Polyethylene Pipe Plant (APPP) that was commissioned in April 2003. AVP uses unique Chevron licensed technology from AVK, a manufacturer of iron gate valves headquartered in Denmark. Today there are 40 people working in one shift at AVP, but as the plant reaches its capacity to produce 30,000 pieces per year, the number of employees will increase to 75. All employees are resident of Kazakhstan who received on-the-job trainings during assembly and start-up of the production facilities. For three months before the plant start-up, experienced instructors from similar plants in Denmark came to Atyrau to train employees and transfer knowledge of the technology and production process. Chevron also ensures that AVP employees receive appropriate health care and that professional training continues as employees develop in their jobs and careers. The technology and materials used at AVP enable production of a highly competitive product.